Associate Professor of Asian Studies and Chinese Language Dr. Qingjun (Joan) Li presented, “The Silence of the Grandfathers: Chinese Perspectives on China Men,” at the 29th Annual Conference of the American Literature Association held in San Francisco earlier this summer. The paper was an extension of Li’s ongoing research into the interpretations by Chinese literary scholars of Maxine Hong Kingston’s work. Kingston is one of America’s most respected Chinese-American authors, having received a National Book Award, the 2011 F. Scott Fitzgerald Literary Award and the 2013 National Medal of Arts and Humanities, which she received from President Barack Obama in 2014. 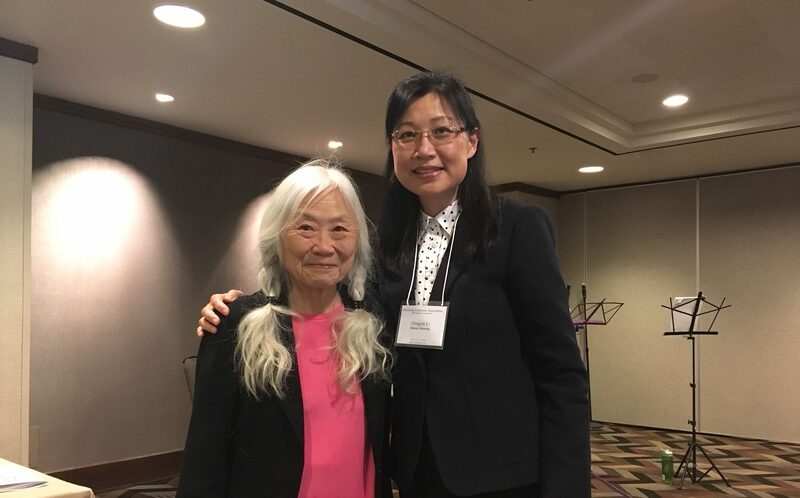 Li’s paper was presented at the by-invitation only panel, “Not Just the In-betweens: Politics, Art, and Transnationalism in the Work of Maxine Hong Kingston,” organized by the Maxine Hong Kingston Society. Kingston was present at the conference.